You’re eating your lunch and you bite down on something crunchy and hard. You take another bite and it’s still there. You realize it’s not food and you realize it’s a chipped tooth. Maybe you or your kids were playing games in the yard and you inadvertently stepped wrong or missed catching the ball and ended up chipping your tooth. 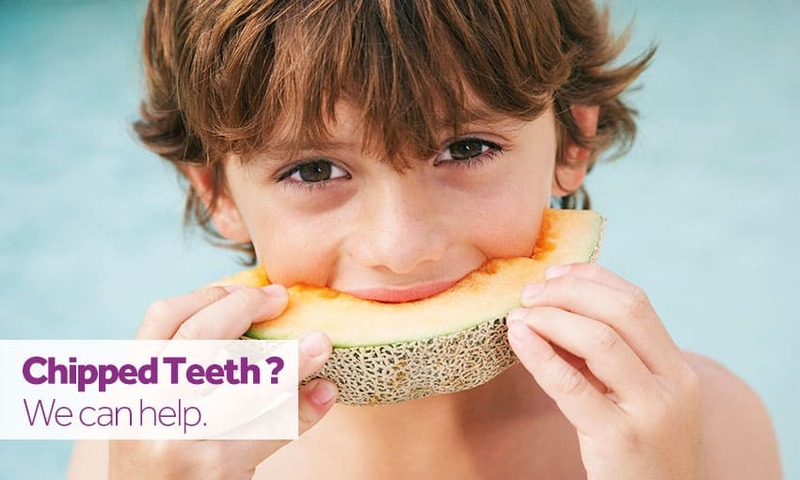 Chipped teeth are a common occurrence in both children and adults. It doesn’t take much. Just the right angle or just the right amount of contact can cause damage to your teeth. Sometimes it’s just a case of being unlucky. After you have chipped a tooth, you may have questions. 1) What caused my tooth to chip? 2) What are my options for fixing chipped teeth? 3) What does a chipped tooth feel like? 4) Is it bad to have a chipped tooth? 5) How do dentists fix chipped teeth? • Active Tooth Decay: Decay can weaken the structure of your teeth and make you more susceptible to chipping your teeth. • Bruxism: Teeth grinding or teeth clenching, known as bruxism, can cause a chipped or cracked tooth or cracked teeth. The encouraging thing is because they are so prevalent, there have been numerous advances in treatment options for damaged teeth. With the advances in technology, it’s not unusual to repair a chipped tooth to the point where it is virtually impossible to detect that the tooth was ever damaged. Continue reading to learn more about the options you have available to you. What happens if you chip a tooth? One of our dentists will examine the chipped tooth and decide on the best course of action to fix your tooth. The location and severity of the chip will dictate the treatment the dentist will choose for you. Minor chips may be able to be fixed with minor polishing and smoothing. In some cases you may not even need to be numbed up for the procedure. If the damage to your tooth is a bit more extensive, you may need a bonding or a crown. Although rare, there are some cases that may require a root canal. The important thing is to call our office and schedule an appointment as soon as possible after you notice the chip. The size of your chip plays a role in the type of dental procedure you’ll need and the damage that can occur to your tooth. How do dentists fix chipped teeth ? the tooth with dental instruments. We see this type of chip from Overland Park, Shawnee Leawood and Olathe patients on the biting surfaces of the front teeth. If the chip cannot be polished or smoothed out, Dr. Boldry may elect to restore your tooth using a strong bonding material. The bonding material anchors directly to your tooth and provides a very lifelike fix. The advantage of bonding is this is typically a quick and economical visit to our office. Bonding can wear down or develop stains, so you may need to have them re-done periodically. Unless there is pain associated or you have an exposed nerve, most small chips do not constitute a dental emergency. If the damage to your tooth extends to the layers underneath the surface or enamel of your tooth, it can pose some additional health risks as well as jeopardize the health of your tooth. If you have a chip that is deep enough to visibly see the dentin (inside the tooth) or is causing significant pain, it is important to contact our office as soon as possible. It doesn’t take much exposure for an infection to develop. Also, delaying treatment may turn a simple procedure into something more involved and more expensive. In most cases, Dr. Boldry and Dr. Bridenstine can fix deeper chips quickly in the office if you contact the office immediately after the accident. If you can save the chipped part of your tooth, please bring it with you to our office. If you can’t locate the missing part, don’t worry. We have options available to repair your tooth. If your tooth has sustained significant damage, you should try to recover and save the broken portions. In some instances our dentist may be able to re-attach the broken section of your tooth using a bonding technique. If your tooth has damage to the pulp, the nerves or the blood vessels you will need immediate attention. Typically damage at this level will have a degree of pain and/or extreme sensitivity associated with it. These types of injuries can require a root canal to remove the damaged pulp, prior to placing a dental crown. During a root canal the damaged area is removed and cleaned so that a crown can be placed to prevent infection. Once the crown is in place, the tooth will be restored to full function and will look like a real tooth. If the chip extends below the surface of your gums, unfortunately there may be no other option other than tooth extraction. Our dentists will do everything they can to help you save your natural teeth, but in some cases the health consequences of leaving a severely damaged tooth dictate that it must be removed. This is never an easy decision, but it is paramount to maintain both your overall health as well as your oral health. Chipping your tooth is more than likely going to be the worst part of the process. After you have dealt with the initial shock of “Oh great, a chipped tooth”. The next logical step is “now what do I do?” If you need answers and suggestions on the next steps, you are in the right place. -Be sure to rinse out your mouth with warm water. This will help flush out any blood or debris which could lead to infection. Warm water is the best choice as hot or cold may trigger any sensitivity around the tooth or gums. -Apply light pressure with sterile gauze to stop any active bleeding. Rinse as needed. -If you are experiencing any swelling, using an ice pack for brief periods can help reduce the swelling and provide some pain relief. -If you are experiencing pain, you may elect to take an over the counter pain reliver. Be sure to inform your dentist that you have been taking a pain reliver when you arrive at the office. -Protect the chip if possible. Try and save as much of the chipped tooth as you can and bring it with you. Your dentist may be able to save or reattach your tooth. If you are unable to save or preserve the tooth, this is not the end of the world. As mentioned previously in the article, modern dentistry techniques provide several options for treatment. -Visit our office as soon as possible. Please call our office and describe the extent of your injury as best you can. Our staff will provide guidance for your next steps. If in doubt, please call our office. A neglected treatment can very quickly progress to something a lot more involved. What do I do about my child's chipped tooth ? As parents, we know that something as minor as a chipped tooth may seem like a much bigger deal when it involves your child. There’s a good chance both you and your child may be scared. This is natural. Not to worry, we are a family friendly practice and a No Lecture Zone office. We are here to help you and your child get back on track and get their dental problem fixed as quickly and as pain free as possible. 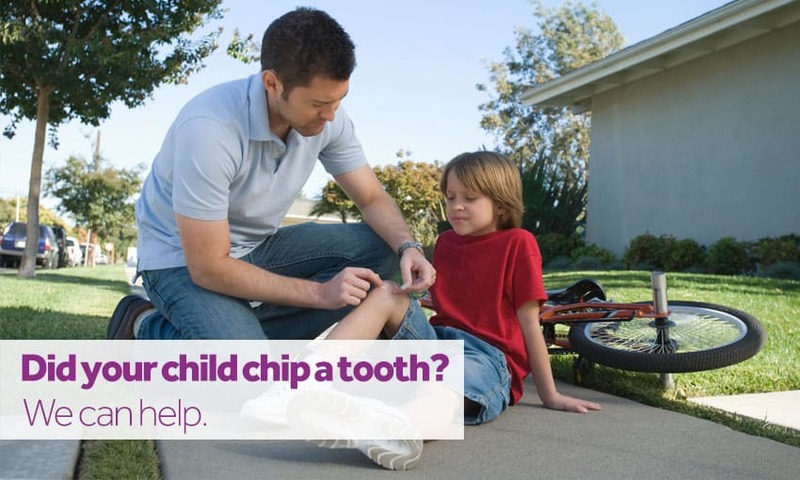 If your child has chipped a baby tooth, this is not a concerning as chipping a permanent tooth. Even so, we still advise scheduling an appointment to determine the best treatment plan. Its best to err on the side of caution and make sure, rather than leave the chip untreated. Treat the initial injury the same way you would treat an adult injury. While chipping a tooth can be an annoyance and potentially a scary situation, it is by no means the end of your healthy mouth. Immediate response to the injury is the best action you can take to restoring you or your child’s smile. Our number one priority is your health and comfort. Call us today at (913) 631-2677 to schedule an appointment. You’ll take comfort knowing our caring and professional staff is here to help you with any of your dental needs. Regardless of the severity of your chipped teeth, our modern dentistry techniques allow us to repair your teeth and restore your smile. One option you may want to consider is a “stock” mouth protector. These devices come pre-made and pre-formed. They are not customized and are ready-to-wear. These are often found at well-stocked sporting good stores and sometime department stores. The downside to these types of mouthguards is that they may not fit well. They are often bulky and can sometimes actions such as breathing and talking difficult. Oftentimes they are made with material that is thin and offer little to no protection. Most dentists will not recommend this type of mouth protection device. Another its height of now big factor that can be purchased at most sporting goods stores are the type known as “boil and bite”. There is another type of protector which can be found at many sporting good stores and is oftentimes a better choice because it fits the mouth better. This type of protector is commonly known as a “boil and bite” mouthguard. This device is placed in hot water for a few minutes and then put into the mouth and using your fingers press it against your teeth and gums to adjust the fit. Although it is not a custom device it is better than the first option for protecting your teeth. These devices tend to be made of thicker material have a better fit an offer additional protection Because they are often times made with thicker plastic. If you are truly serious about oral health and protecting your teeth from becoming chipped a custom-fitted mount protector is what you are looking for. Your dentist will make one that fits only one person: you. The first step in having a custom-made guard is to make an impression of the teeth in your mouth and your bite. that impression is then used to make a mold and form a custom device using a specialized dental material. Because this item is made of special materials and is customized for you and takes additional time and effort to create it will cost more than what you can find in a retail store. However, the saying is true in dentistry as it is for other things. You get what you pay for. The advantage in having a dentist create this mouthguard for you is that it is likely to be the most comfortable and durable of all the options available. Always consult your dental professional with any questions issues or problems you may have when it comes to your oral health. 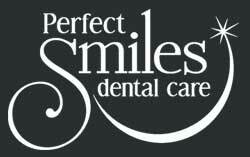 At Perfect Smiles Dental Care we are truly a “no lecture zone” from the front desk, to our hygienists, to our doctors. We want to make sure that you are well taken care of and are as pain-free as possible.